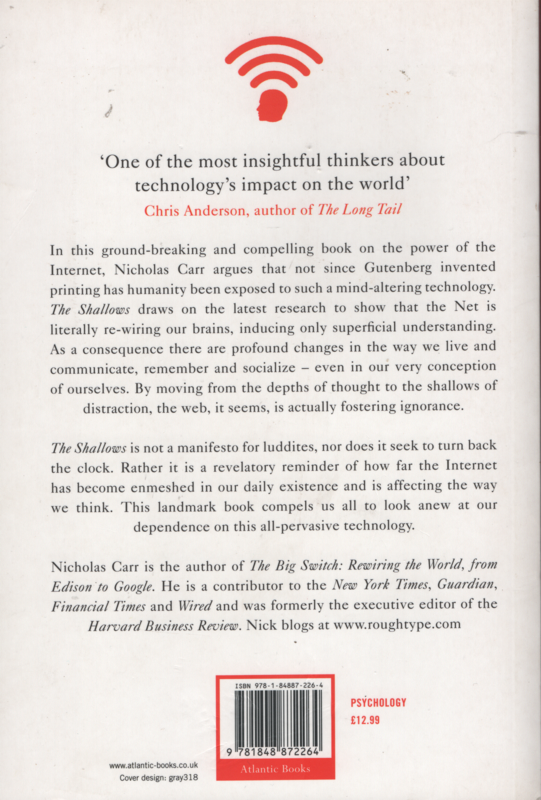 In this ground-breaking and compelling book, Nicholas Carr argues that not since Gutenberg invented printing has humanity been exposed to such a mind-altering technology. 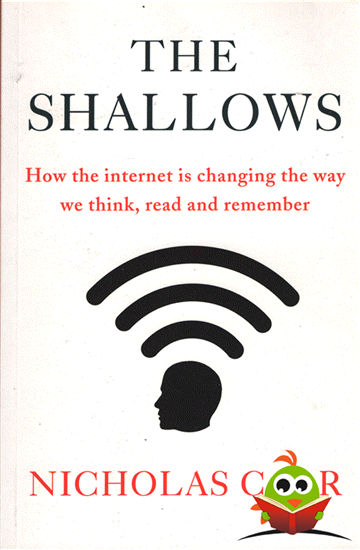 The Shallows draws on the latest research to show that the Net is literally re-wiring our brains inducing only superficial understanding. As a consequence there are profound changes in the way we live and communicate, remember and socialise - even in our very conception of ourselves. By moving from the depths of thought to the shallows of distraction, the web, it seems, is actually fostering ignorance. The Shallows is not a manifesto for luddites, nor does it seek to turn back the clock. Rather it is a revelatory reminder of how far the Internet has become enmeshed in our daily existence and is affecting the way we think. This landmark book compels us all to look anew at our dependence on this all-pervasive technology. Minimale leessporen, niet in geschreven of gevouwen. Geen breuklijn op de rug. Boekblok en de randen van de witte pagina's zijn iets vergeeld.